Today we have our final guest before the NamesCon show for our – “In Their Own Words, The Case for dot___” series, where various new gTLD registries/operators present their ‘case for’ their gTLD. As NamesCon is being held in Las Vegas, we are pleased to have Dusty Trevino with dotVEGAS. One of the most iconic brands and cities in the world, Las Vegas boasts more than 40 million annual tourists and ranks 23rd on the list of World’s Best Places to visit as published by U.S. News Travel. The cache and desirability of Las Vegas is rooted in the intrigue of the city’s colorful history and its larger-than-life personality embodied in the glittering landmark Las Vegas Strip that has become synonymous with world-class shopping, dining, gaming and entertainment. Home to more than 150,000 hotel rooms and more than half of the world’s top ten largest hotels, Las Vegas, is truly in a league of its own when it comes to popularity. It’s a must-visit, bucket list destination for just about everyone on the planet. The Vegas brand has come to mean different things to different people. To some, Vegas symbolizes not only entertainment, but prosperity and excellence; to others, Vegas embodies adventure and risk taking. For others, Vegas engenders thoughts of innovation, cutting edge thinking, imagination and fantasy; while to others, Vegas connotes images of fun, excitement and endless energy: a world that is open 24/7, 365 days a year, and a world than never sleeps. In sum, Vegas is an unparalleled brand as well as a community where innovators, entrepreneurs, visionaries are limited only by their imaginations. Creating one of the most magnetic cities in the world is accomplished by the city’s growing cadre of professionals: architects, attorneys, engineers, techies and captains of industry – those who build and maintain the city’s economic engine as well as its communities, universities and centers of culture and medicine. With a newly revitalized downtown that is home to such transformational venues as the Cleveland Clinic Lou Ruvo Center for Brain Health and The Smith Center for the Performing Arts, Las Vegas is easily coming into its own as a place to call home for the city’s two million residents. It’s this excitement and energy the owners of Dot Vegas, Inc. saw as a perfect fit in creating a digital environment with the .Vegas TLD. Very soon, the opportunity to own a .Vegas web address will be possible. With this new TLD, domain registrants will enjoy enhanced and expanded online presence via association with one of the world’s most valuable brands, and they can preserve and protect their existing brand/name/company/website by preventing others from purchasing their name with a .Vegas TLD. Even more exciting is the fact that .Vegas is an unrestricted city top level domain. That means anyone in the world, regardless of their location, can register a .Vegas TLD, significantly enlarging the TLD’s presence in the digital space and giving registrants a key marketing advantage. And, no other company, individual or governmental organization will ever be able to apply for or receive another top level domain that represents the city of Las Vegas. The excitement about .Vegas, like the city itself, is huge. Some Registrars have estimated the number of .Vegas domain names may exceed 900,000. Availability and registration of .Vegas domains will be conducted with defined rules and procedures. First .Vegas domains will be available for registration by trademark holders (Sunrise period) for a period of 60 days. After that 60-day period, .Vegas domain names will be available for registration for 30 days by local Las Vegas companies through Las Vegas Metro Chamber of Commerce. Following that 30-day period, anyone can register a domain name through a large network of domain name registrars, including GoDaddy, 1&1 Domains, Enom and even local Vegas based web development and hosting companies. With a personal investment of more than $1 million by Dot Vegas, Inc, the support of the city of Las Vegas and the indisputable power and value of the Vegas brand, we believe it is a natural progression to extend its reach through innovation, creation and imagination in cyberspace. As the .Vegas top level internet domain launches in the coming year, we are excited by the prospects of businesses, enterprises, individuals in our own community and the world as they establish their own meaningful Vegas presence on the internet. We’d like to thank Dusty Trevino for sharing his ‘Case For’ dot Vegas, and hope that you found it informative and helpful. We’d also like to thank all of our gTLD guests this week, dotBUZZ, dotLUXURY, dotCLUB, dotSKI, dotCEO and dotVEGAS for sharing their vision and plans for their gTLDs with us this week. If you’re going to NamesCon, be sure to look these gTLDs up and get more info on them. We will be continuing this ongoing series, and hope you’ll find from them all, the information you need for your future internet ventures. What is the reason for the premium on registration and renewal? I understand Goodwill is a factor in valuations… Whats the good will of a .whatever? Do we have to question the goodwill of one of the most used extensions in verbal communication .com How many people say that a day… Now that’s Goodwill. That’s value. In addition, Most things that are not easily duplicatable have exponential value. A .whatever is not going to have the impact of a .com for “some time” in my opinion, being generous. Comparables is another factor in valuation. We can compare the lackluster success of the majority of the last gtlds. .biz .info etc. Whats the difference between a .mobi and a .mobile? 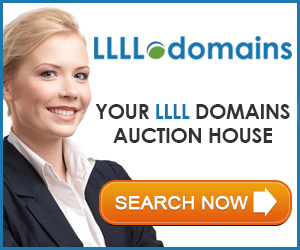 (other than gtld and mtld) The .com has long standing sales comparable data. There’s several avenues and millions of available ways to invest, market and brand with domains in the proven .com, .net and .org extensions. Take a look at these examples I put together in 10 minutes. It could be done with most the new gtlds in my opinion. rentalcar.directory $24.95 anually, possible auction. More upfront if you want priority service. RentalCarDirectory.com I can buy it now for $350 and $10 annually. personalinjurylawyer.directory $24.95 anually, possible auction. More upfront if you want priority service. PersonalInjuryLawyerDirectory.com I can buy it now for $300 and $10 annually. motorcycles.directory $39.99 annually, possible auction. More upfront if you want priority service. MotorcyclesDirectory.com I can buy it now for $199 and $10 annually. arcade.directory $24.99 annually, possible auction. More upfront if you want priority service. ArcadeDirectory.com I can buy it now for $199 and $10 annually. The list could go on and on forever comparing every .whatever to what works. For the investor and end user (the little guy too) alike there’s proven success formulas in place.